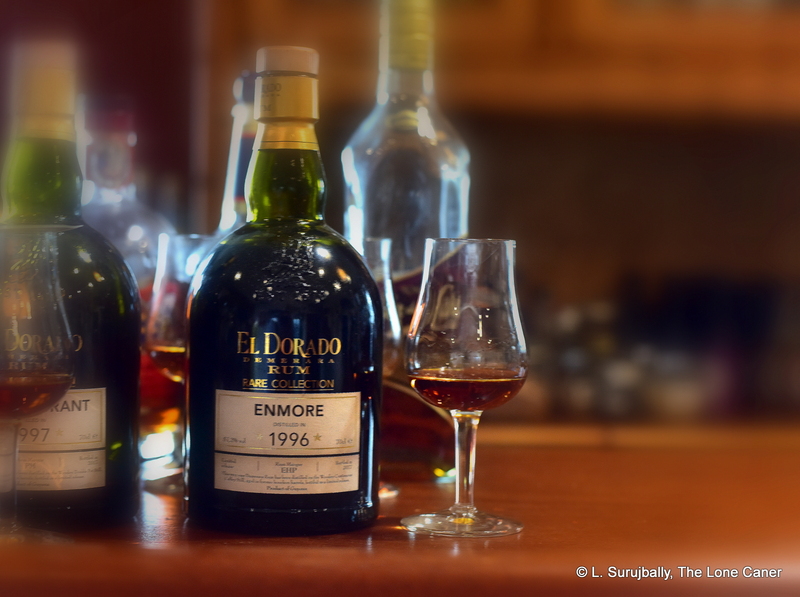 The El Dorado 12 Year Old is something of an econo-budget kind of rum, lacking both the price tag and the relative quality of its upscale brothers the 15 and 21 year old. 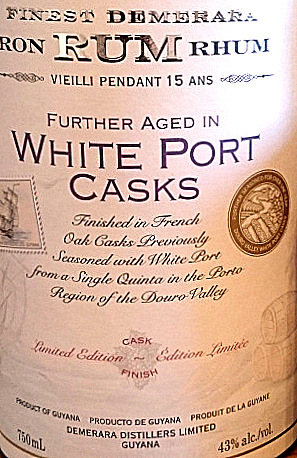 It’s a rum often overlooked in people’s enjoyment of the those two, and with good reason – it lacks much of what makes the 15 worth drinking, and is only a minor step up from the 8 year old, or even the very nice 3 year old white, both of which are cheaper. Nowadays, I usually pass it by, but the thing is referred to so often by the young, the curious, and the newcomers, that I wanted to check it out again. 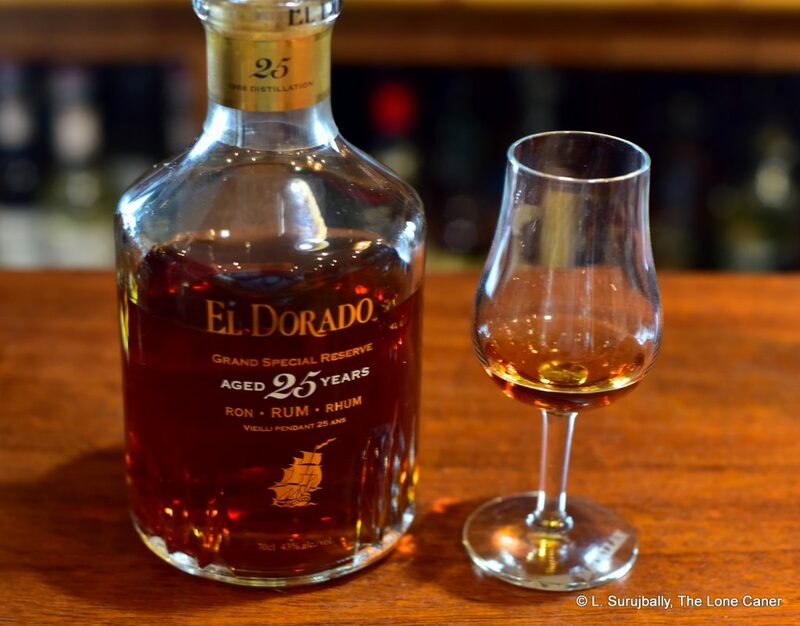 What makes it less of a drink than any of the other rums noted above yet better value for money than even DDL’s 25 Year Olds is its relative simplicity. It derives partly from the Enmore wooden coffey still, and the dominant part is the SVW marque which implies the metal two column coffey still at Diamond, nothing too special there. 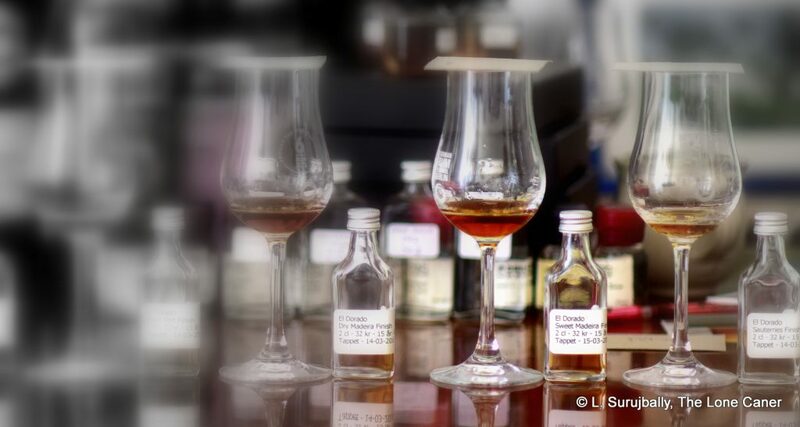 And while it’s been aged, it just doesn’t have any of the true complexity which we see lurking behind the dosage in the 15 or 21 — that adulteration does serious damage to the profile by muffling the flavours that do exist like a wet blanket. Add to that a drowsy sort of 40% strength and you’re not really left with much that a person who likes clean and distinct tastes would truly enjoy and recommend in these days of stern 60% behemoths. 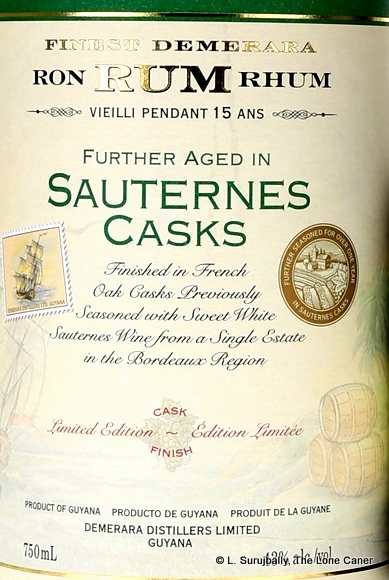 Consider the way it begins, on the nose: it has aromas redolent of butterscotch, caramel, prunes and raisins, with very little edge or bite or sharpness. It’s warm to inhale, and after opening up, it gets a little more heated and a little licorice and darker fruity notes emerge…or try to. 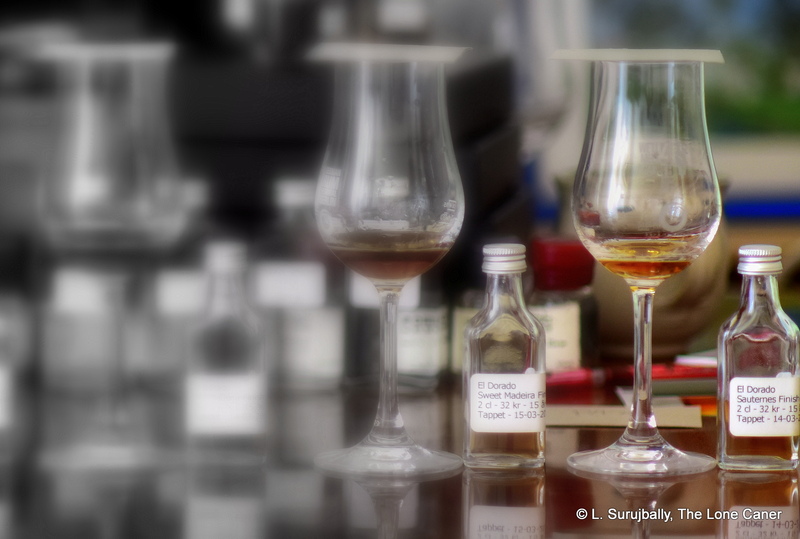 It feels really muffled, somehow, and the thing is, while quite pleasant, it lacks real complexity and is almost simple; even here, at this preliminary stage, it doesn’t take much experience with “clean” rums to suspect that something has been added to make it this way. Such thoughts continue on the palate, where the feeling becomes the obvious. So, it’s sweet, warm, yet oddly thin too (that’s the 40% talking, I suppose). 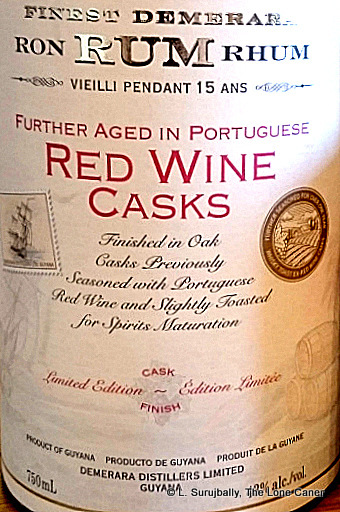 Caramel, some weak molasses and butterscotch remain the core flavours, and the fruits (prunes, peaches, pineapple) are making a fast exit – what is left is mostly crisper spicy notes of cinnamon, nutmeg, cloves, plus oak and some leather and a last despairing gasp of anise. The pervasiveness of caramel becomes a heavy blanket silencing all but the sharpest notes, and while this is precisely what makes it such an appreciated intro-rum to those on a shoestring and with an interest, for anyone who’s had more than ten decent rums, it falls down. 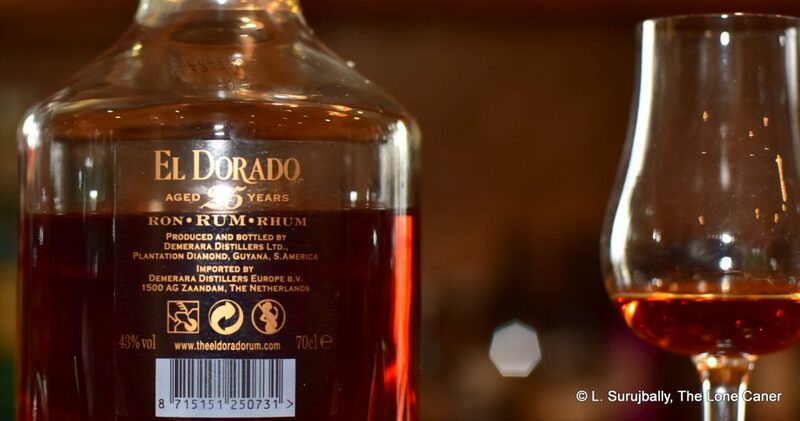 The finish remains the weakest point of the rum, hardly worth remarking on – thin, quick, and you really have to concentrate to make out anything beyond caramel and damp brown sugar. Perhaps a last shake from the spice jar, if you try hard. Seen at a remove of nearly ten years, I still remember why I liked it and why new entrants to rum recommend it so often (there’s a recent review post on reddit that rates it 87). But what it showcases is rather more potential and maybe even wishful thinking than reality. It teases without coming through, it bluffs with a lone pair and is upstaged by its brothers up and down the line. 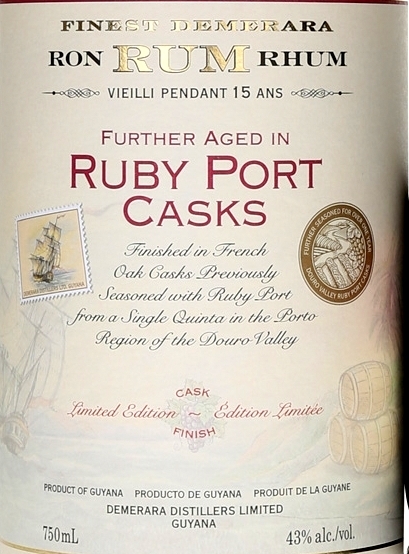 I noted above that it may be better value for money than the 25 YO and 50th Anniversary halo rums. Leaving aside the pure price differential it’s primarily a matter of those rums being incremental quality increases per geometrically more bucks spent. 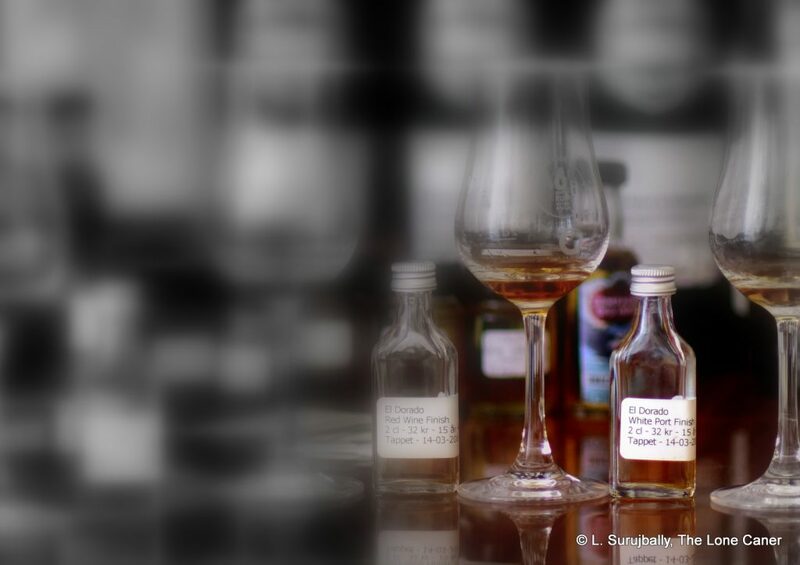 For sure you can taste the underlying structural assembly of the 25s (any one, 1980, 1986 or 1988) in a way the 12 can’t hope to match, but the adulteration blunts the impact of all equally, and what’s left after that’s factored in is simply that the 12 is a better buy for the coin you shell out if you don’t have much of it. 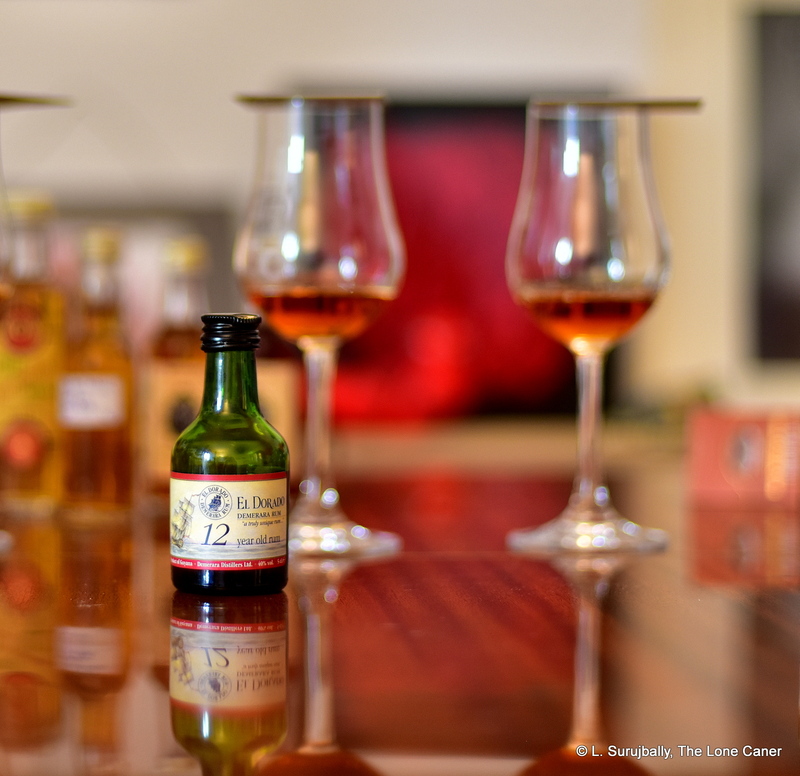 Although I bought the 12 thinking of it as a candidate for the Key Rums series, now I don’t believe it belongs on that list – it does not stand as an honest blend on its own merits and too much back-end crap has been added to it. 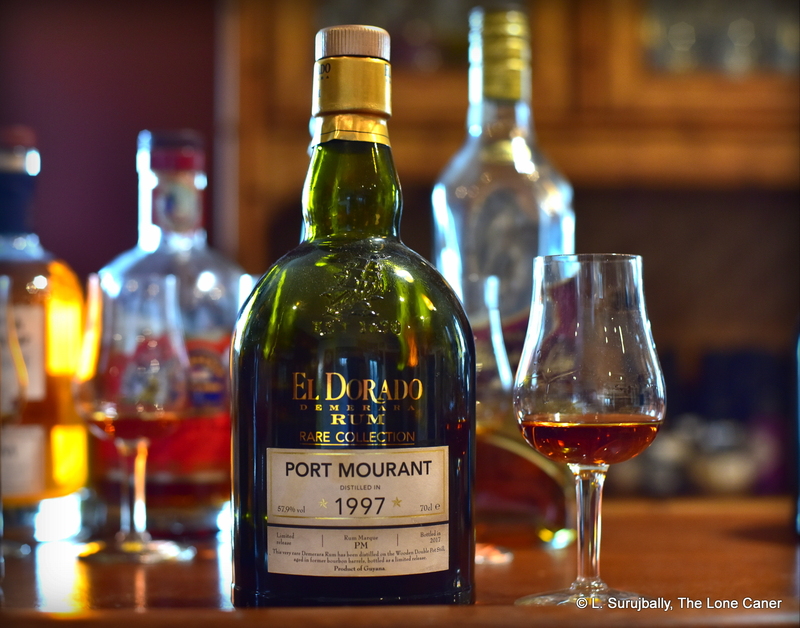 The rum rests on its laurels as a great rum of Yesteryear in the memories of its older adherents, rather than being a poster boy for innovation and quality in the Now. 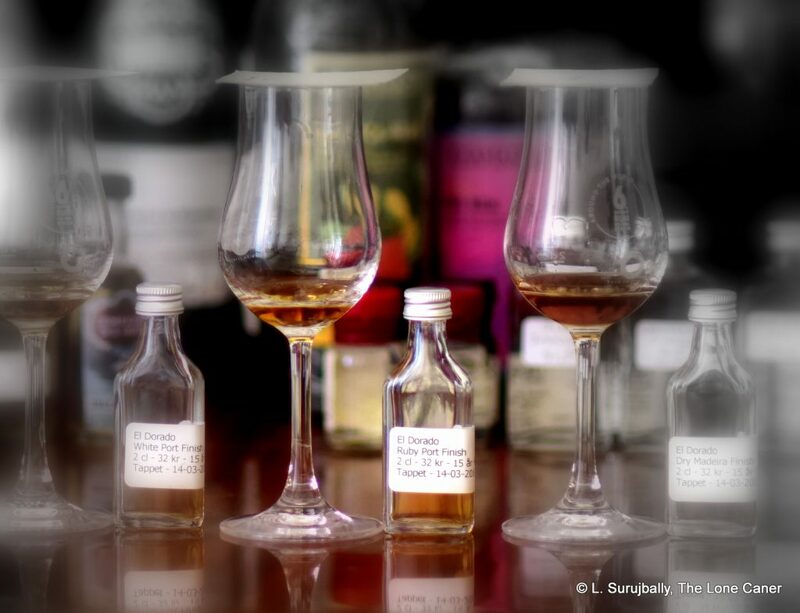 However, let’s be honest — my disparaging notes here are made from the perspective of a person who has tried several hundreds of rums from across the spectrum, not as a guy who’s just starting out and has four or five little rumlets in the drinks cupboard. 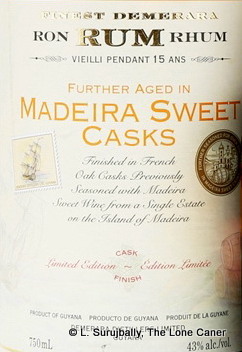 On the basis of using the 12 as an introductory spirit, I’m equally – if paradoxically – comfortable asserting that for anyone who wants a cheap starter rum to get familiar with the Guyanese stills, which may one day ripen into a full blown love affair with PM, EHP, ICBU or VSG marques on their own (and at cask strength), then the 12 may just be a good place to start…and then move away from at top speed. Various measurements confirm 35-39 g/L of additives, probably caramel.